Abortion is an emotionally charged issue between pro-abortion women’s rights individuals who say abortion in a woman’s right and anti-abortion religious zealots who lie to prevent women from having an abortion, screaming at women that a fetus has a Soul. The truth is that a fetus has no Soul. As explained in our Love Energy Techniques, one’s Soul is part of one’s permanent Emotional Body and only enters an infant’s body with the baby’s first breath. Thus, there is no need for any woman to feel guilty about an abortion. Women please do not allow fear based religious zealots to make you feel guilty about an abortion. Fear based religions do not Love God and they worship a false image of God. Fear based religions cannot tell you where the Soul is located in the human body. 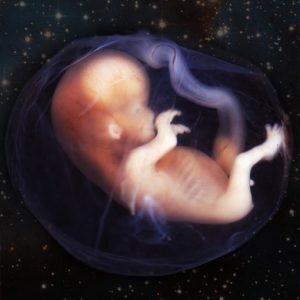 We ask women who have had, or are considering, an abortion to take time to learn our wisdom of life and use our effective energy cleansing techniques so women may learn the truth and be cleansed of angry energies from fear based religious zealots who do not Love God and rightly fear God. We at Love Energy Centers are God Loving Spiritual Individuals. We do not fear God, because we Love God. We personally know God. Thus, we took time to record a complete description of God in our Creation Beginners at home recording. We also took time to record in our Dance of Love and Light and Forgiveness Beginners at home recordings, the wisdom and techniques that enable and empower individuals to self heal themselves from the emotional pain inflicted on them by others in angry emotionally charged words and hate filled religious judgments. In addition, we recommend our Karma and Reincarnation Beginners at home recording, so one may realize that the western religions’ erroneous fear based assumption of only one life, is ridiculous and a sign of extreme spiritual immaturity. Use our online Free Love Energy Test and observe whether anger from others is preventing you from being happy and Joyful. We also recommend our Free Love Energy Technique for Activity so you may begin infusing Unconditional Love Energies into your life. This free technique enables and empowers one to transform the emotional energies of unhappiness into happiness while in daily activity.